Remember the story about the boy who repeatedly cried wolf when there was no wolf, so when there was actually a wolf no one believed him? Well, the more I listen to people who know a lot more than I do about NASA, prior manned space programs, space technology and yesteryear budgets, the more this story comes to mind, though between all the pros, cons and possible futures I can't decide is who is the boy, who is the wolf and who are the towns' people. 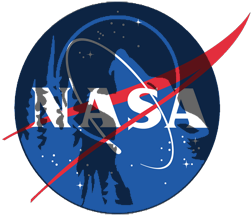 Congress recently passed the authorization bill to fund NASA for fiscal year 2011, which started on October first. The bill was a compromise between the initial road-map president Obama laid out in February and the program of record until recently, Constellation. Analysis of the original plan and the eventual bill are easy to find, for example on Space News. The Space Show with David Livingston always keeps a pulse on space policy including all the twists and turns since February, and it's been very educational to listen to people from various walks of life, from NASA officials to entrepreneurs, from historians to innovators, from mainstream to fringe. Opinions about the bill and the current NASA trajectory vary from absolute enthusiasm to predicting American human spaceflight days are numbered. The 2011 NASA budget, and I acknowledge I am over-simplifying it, extends the COTS program instated by the Bush administration in January 2004, now called CCDev Round 2), through which private companies like SpaceX will take over taxiing astronauts to the International Space Station (ISS). The authorization bill also discusses human space exploration beyond Low Earth Orbit (LEO), which can potentially be done in a number of ways, heavy-lift being more or less the decided-upon way to do it, at least on the political circles (anything wrong with that picture?). So who's the wolf and who's the boy in our unraveling space fable? One wolf is American manned spaceflight itself, or lack of it. Some say that with another underfunded project set up to fail we may see the end of American human spaceflight. I personally don't think so, though we might just see it replaced with private manned spaceflight, starting with suborbital and extending to orbital and beyond in upcoming decades. Boys (or girls) who cry this wolf are concerned about the current plan providing no more than pork to an industry in decline without real thinking about long-term goals of space settlement. Another wolf is government money and its potential effect on private space companies. Some say it may drag initially nimble and cost effective companies like SpaceX to become slow and costly. I think some government money will be needed like it was needed when air-mail was a catalyst for the aviation industry in the early twentieth century years, and it's a matter of managing it correctly and understanding it is set up money, not the business model. Whether these wolves turn out to be vapor or real, boys (and girls) who cry wolf need to make sure they don't abuse the towns' people trust - Cry wolf too many times and even if the next one is real, you will be ignored and ridiculed.